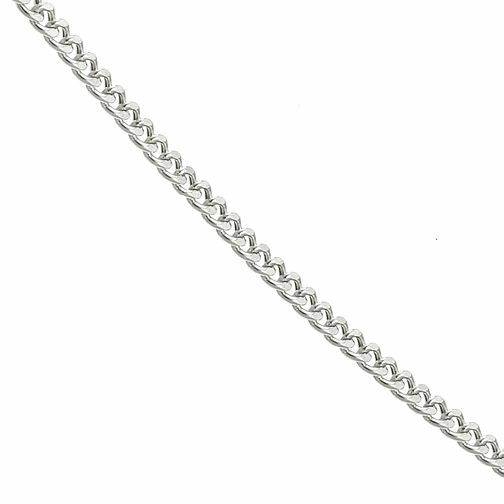 Crafted in stylish 9ct white gold, this simple hollow curb chain is perfect for everyday wear. 9ct White Gold 20" Hollow Curb Chain is rated 5.0 out of 5 by 1. Rated 5 out of 5 by Anonymous from beautifully designed Very pleased with this necklace it looks so much better on I would recommend this item it's perfect.